The GIS Consortium workgroups are made up of Board members and content experts from member communities. The workgroups are comprised of two types of teams: intact and project. Intact teams align along traditional local government departments and are static, while project teams are dynamic and created to impact a specific opportunity of the Board of Directors. Both types of workgroups are designed to be an engine for generating ideas and finding solutions for programs, products, and services that maximize the value of being a member in the GIS Consortium. In 2014 the GIS Consortium hosted it’s Inaugural User Conference with over 170 attendees from 27 communities. 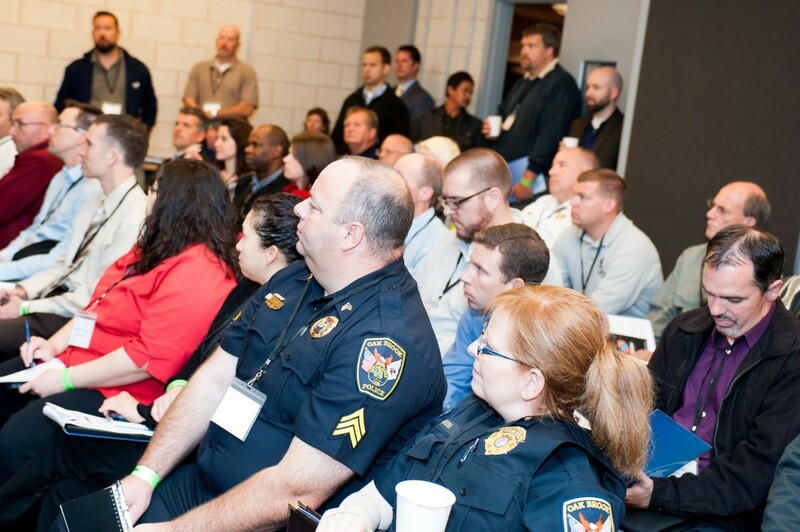 Featuring presentations and discussions centered around departmental workflows and best practices the purpose of the conference is to bring member communities together to share ideas and solutions. The GIS Consortium hosts live monthly webinars around how GIS is positively impacting local government. These take place the last Wednesday of every month, and are free. Please check the events tab for upcoming webinars, or visit the webinar gallery to view all posted webinars.